Are you looking for a guilt-free place to take your dog while you are away? Forget taking your pet to stay either with a family member or a cold, dingy dog kennel that leaves your pet in a crate and inactive all day. Bring your dog to Bass Pet Resort for a fun-filled adventure that will give your furry friend some vacation memories of his or her own. 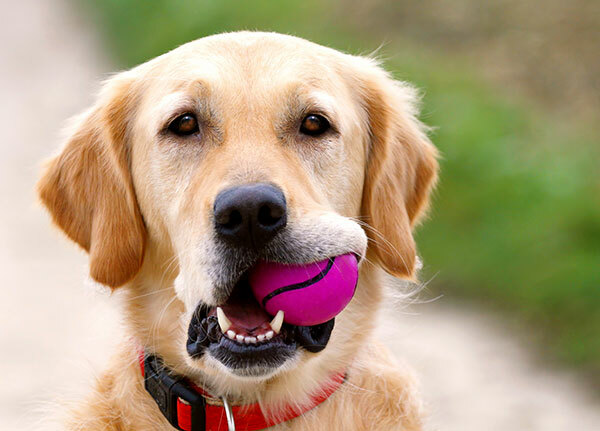 You won’t need to spend days getting your pet back to normal after a stay at Bass Pet Resort. We are a high-quality, full-service pet resort, dog boarding and training center with luxurious accommodations as well as pet-owning and pet-loving caregivers who will treat your pet like family. Furthermore, our staff is committed to making sure your dog feels loved, has fun, and is safe during his or her stay with us. Don’t wait to reserve your space for the next event in your life! We are conveniently located in the heart of Kissimmee, FL, within 10 miles of the Disney World area. Our outstanding pet care facility serves pet owners in Central Florida (Kissimmee, Celebration, Orlando, and more). Bass is hands down the best place for your pet. They are professional, friendly, love taking care of your babies and my boy loves coming. He gets so crazy when I drive him to Bass. Highly recommend Bass to everyone! We’ve never left our “baby” at a boarding facility and were hesitant to try one out of state but the Bass pet Resort was truly that! A resort for our pet. She was treated like family so we could enjoy a few days vacation without worrying about her care! We even received a little report card on her interaction with the other animals! So sweet! We would definitely recommend using The Bass Pet Resort to care for your pet while traveling. At Bass Pet Resort, we are so much more than a dog kennel. We do everything in our power to make sure our guests are as content and comfortable as possible. We offer five-star accommodations for your furry family member including room service, maid service, soothing music and clean, comfortable, spacious climate-controlled enclosed surroundings. We accommodate families of pets of the same species to room together. Large or small, we can accommodate them all! Would you like your dog and cat to lodge together? We have suites to accommodate them together. Many have taken advantage of this luxury. Please come and visit us and see for yourself what sets us apart from the other facilities in the Central Florida area. *You are welcome to bring a toy or bed for your pet’s stay. Please limit the amount of belongings you bring with your pet to one toy and one bed. Additionally, please be aware, occasionally these articles may become lost or damaged. We have boarded our dog at Bass Pet Resort twice while vacationing in Orlando. Both experiences were very good. The staff was very polite and accommodating to our travel dates. The late check-in and pickup allowed us to not rush. I called daily to check on our dog and never felt I was asking too much for an update. 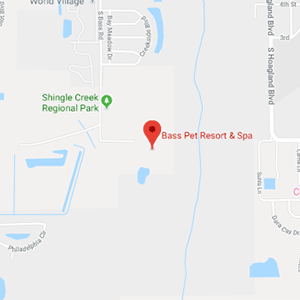 I have referred friends and will not hesitate to use Bass Pet Resort for future Orlando trips. When you bring your dog or cat to Bass Pet Resort, you get more than what you would expect from a typical dog kennel or dog boarding facility. At our premium pet resort, your furry companions can experience several amenities and services that are sure to pamper your pets and keep them stress-free until you arrive for pick-up. We’ve included some examples below. Tender Loving Care (TLC): We encourage as much contact between your pup and his or her Dog Handler as possible - all designed to promote additional contact through brushing, massaging and basically loving on your furry family member while in the comfort of his or her condo or suite. Tuck in and Story Time: A story and a special tuck in from our very affectionate staff that loves to pay special attention to your member of the family. Play Time: Free play with our Dog Handlers. 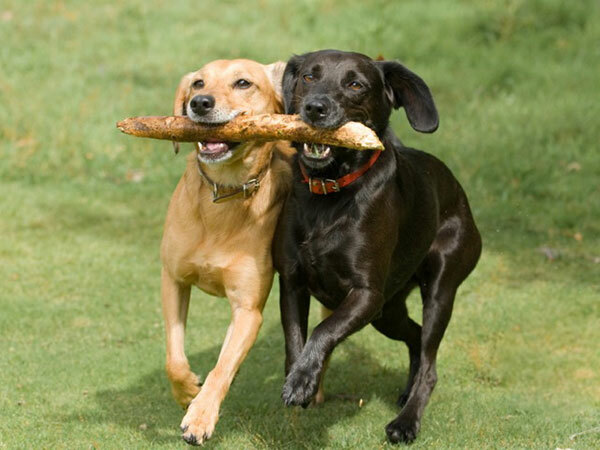 Schedule a one-on-one play date between your pup and his or her Dog Handler. Not only does play time give your dog more personal time with a personally assigned Dog Handler, it’s also a great way to help him or her relax and enjoy a vacation. 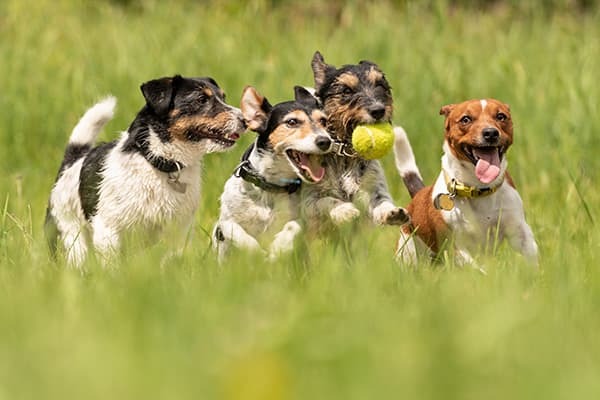 Group Play: More exercise time for your dog in a group for up to 45 minutes. He or she will have a fantastic time meeting new friends under the close supervision of a Dog Handler. We take out several vacationers at one time, ensuring safe and healthy play groups. 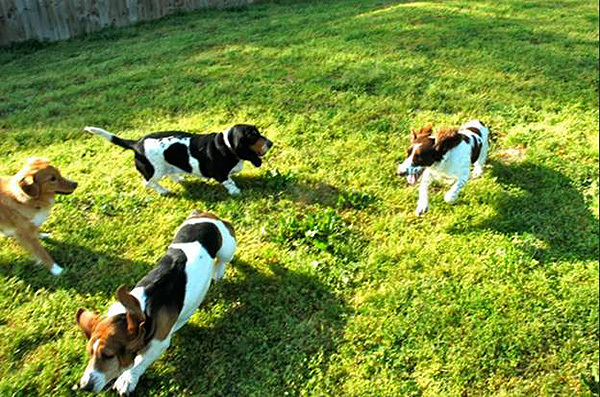 Each play group is designed for same size, spayed or neutered dogs. We have small and large group play sessions. “Business” Walks: If your dog requires individual “walks” to encourage them to do his or her “business”, please order our Business Walks while they are vacationing with us. Business Walks are walks on the lead in our grassy areas. Walks are done four times a day; first thing in the morning, noon, 5 pm or 9 pm. This is also a great service if you are in the middle of potty training your puppy. Gourmet Treats: We have a wide variety of treats - from frozen yogurt to healthy natural treats - for those pet parents who forget to bring their dog’s favorite goodies. Talk to us about Dog Day Care and give your dog something to look forward to every day he or she stays with us! Discounted stay and play packages are available.